That they were protected by former president Zuma and Shaun Abrahams simply highlights their conflicted nature, said advocate Max du Plessis. The Mokgoro Inquiry completed its sittings today, with advocate Max du Plessis of Freedom Under Law (FUL) saying Nomgcobo Jiba and Lawrence Mrwebi should be removed from the office of the National Prosecuting Authority (NPA) as they were “remorseless”. Du Plessis was presenting on the fitness to hold office of Jiba, the suspended Deputy National Director of Public Prosecutions, and Mrwebi, the suspended Special Director of Public Prosecutions. The pair was suspended by President Cyril Ramaphosa in October last year and the inquiry instituted. Du Plessis said that both senior advocates should be removed as they had undermined the integrity and independence of the NPA. “These are not individuals who are intent on doing right, they are remorseless. We believe there is a firm basis to prove that both advocates are not worthy of being in the NPA and should be removed,” said Du Plessis. Jiba and Mrwebi have been criticised for their handling of several high profile and controversial cases, including the decision to withdraw charges against former head of Crime Intelligence, Richard Mdluli. It is alleged the pair withdrew the charges to protect Mdluli from prosecution. 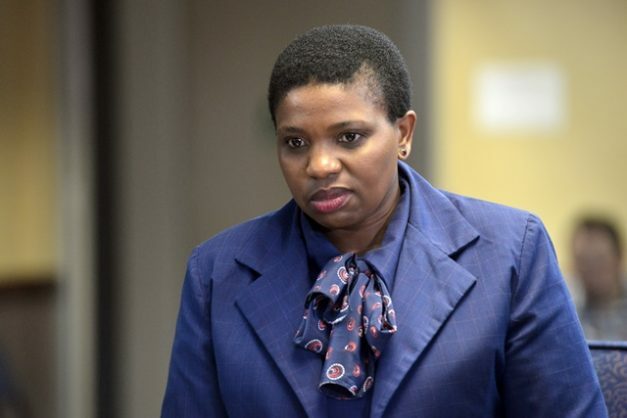 Jiba was also scorned by the Durban High Court after she charged former KZN Hawks boss Johan Booysen with racketeering, allegedly a move to prevent the possible prosecution of several politically connected individuals. “It’s not about whether I think the pair are fit and proper or whether the judges who have ruled against them do; the question is whether they are objectively fit and proper according to law,” said Du Plessis. He said the adverse findings against Jiba and Mrwebi were relevant considerations, and that if the inquiry did not take them into account, it could amount to “irrationality”. After Du Plessis’s testimony, advocate Norman Arendse – acting for Jiba – interjected, saying Du Plessis’ submission formed part of an ongoing attack on Jiba which had no basis in fact. Justice Yvonne Mokgoro, who is chairing the inquiry, told Arendse that Du Plessis was merely supplying an additional perspective. “FUL is not here to help the panel, they are here to implicate Jiba through referencing these judgments. 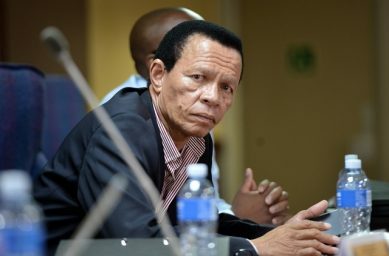 He is in effect giving evidence,” said Arendse. “I’m afraid that’s not the way I understand Du Plessis’s submission,” replied Mokgoro. Mokgoro is expected to present her report to Ramaphosa on March 9.